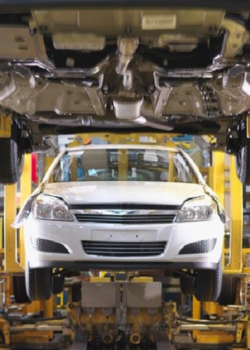 How can SAP Solutions enable Automotive Industry to change the game? SAP solutions empower automotive companies to accelerate product innovation, improve quality, reduce manufacturing costs, and service vehicles more profitably. This helps drive market share growth in a highly competitive global market. With SAP solutions, companies can use data driven intelligence that combines the world of technology, sensors, and vehicle data with a world of applications and practices. What do SAP solutions help customers do? Increase customer satisfaction and retention with positive buying and ownership experiences. Manufacture cost-efficient high- quality products and vehicles by adopting automotive best practices. Support new business models in the digital economy. Optimize efficiency and drive down cost and risk in global supply networks. Successful automotive manufacturers, suppliers, and sales and service organizations rely on SAP software to provide the foundation that drives performance and a competitive edge. SAP solutions connect processes with industry-specific solutions on premise, in the cloud, and via mobile devices. 2. Enhanced real-time operational insights with advanced analytics and excellence in sales and service.